Evan Brace wrote, directed, edited and produced this short film based on a story told to him by his grandmother. It’s an extraordinary achievement, and we’re thrilled that Evan chose FilmConvert to achieve his cinematic vision. Give us a bit of detail about yourself – background, profession, how you got into filmmaking and your current role. As a student, I started working in experimental video. I enjoyed the freedom of the medium, but I also found it limiting to build intimacy with an audience. I began to study the works of the artists/directors that blended the unconventional with intimate character narratives. This exposure helped me see a fusion of both worlds and how to cultivate that work into a specific vision. My background is in the spiritual dynamics of art. I am fascinated with layering a transcendent language that speaks to an audience on an internal relatable level. As a writer/director is important for me to shape a film that speaks to our Being and how our relationship with the Beyond is a tangible force and also an abstract one. This is a very personal story to me. 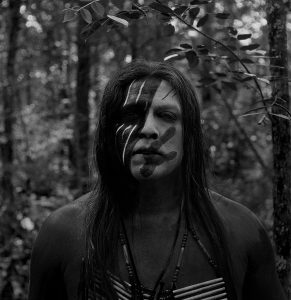 I come from a long line of Choctaw ancestry that walked the sorrowful Trail of Tears as they relocated to Oklahoma. DONOMA was a story that my grandmother used to tell me as a child. 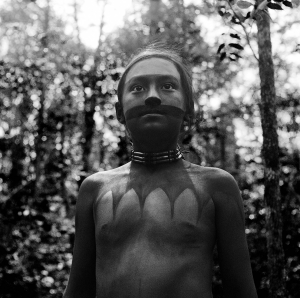 I wanted to share a story about Natives that gave them beauty and mystery that I love to find in cinema. 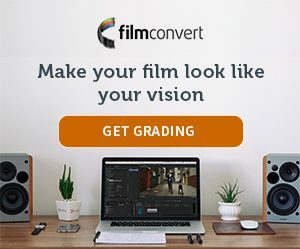 FilmConvert was shown to me by a friend who was grading his newest project at the time. The film needed an organic quality that felt alive and almost coated with another dimension. When we were looking at FilmConvert’s many options for film grain, and after a variety of tests, FilmConvert became the obvious choice. We wanted the film to project a surrealistic hyper-realism. When we chose the particular film color and grain structure it elevated the film into a realm that cemented the overall feeling and theme of the film. We graded the film and then found our balance within the FilmConvert film grain. We didn’t use anything other than DaVinci Resolve to grade the film.